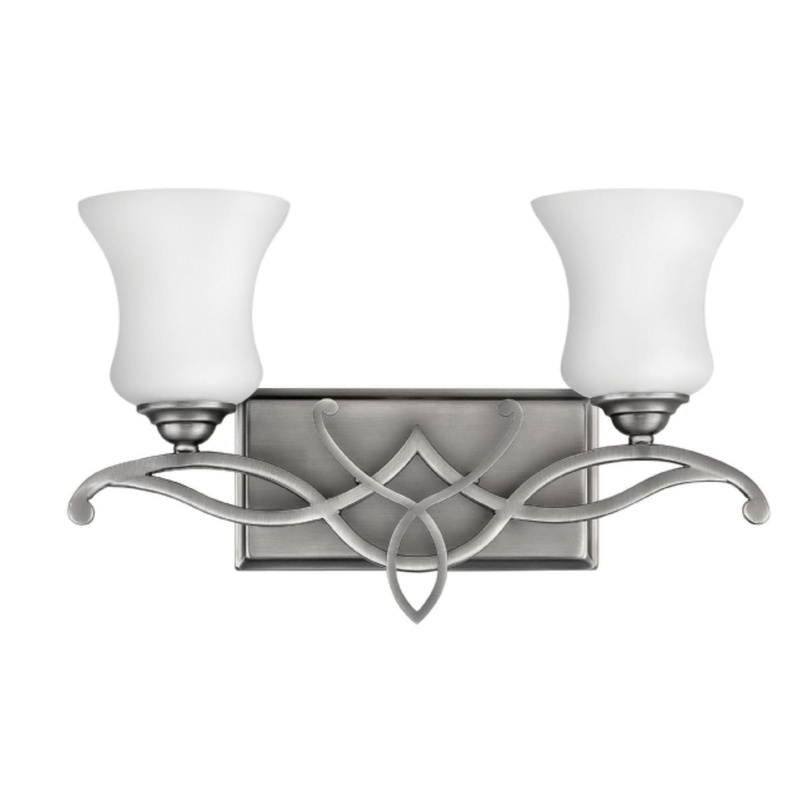 Hinkley Lighting Brooke Collection 2-Light bath light fixture in antique nickel finish, features metal construction. Etched opal glass shade brings elegance to the home. This traditional light fixture uses two 100-Watt A-19 lamps. Medium base socket lamp has voltage rating of 120-Volts. It measures 16.5-Inch x 10.3-Inch. It is suitable for damp locations. Fixture is cUS certified.